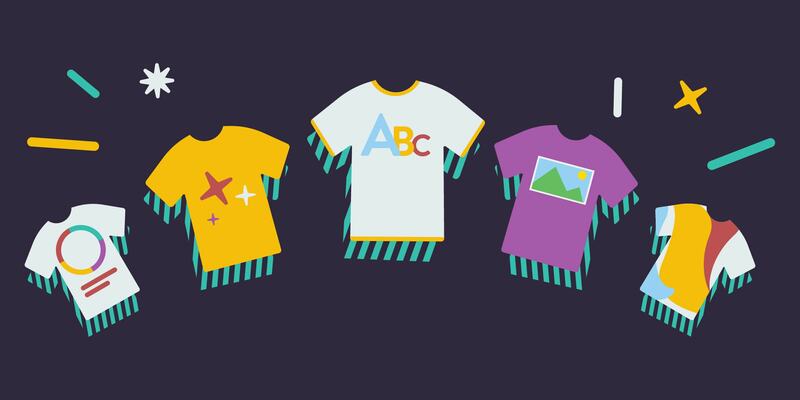 Let’s jump into the 5 main types of t-shirt designs. 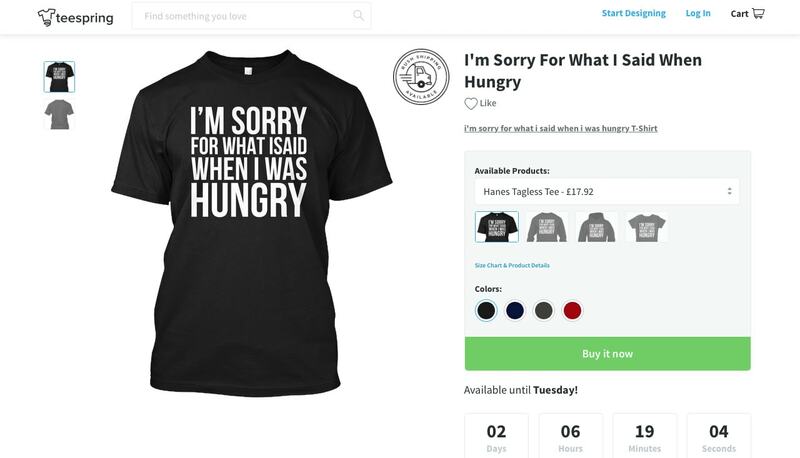 Very effective t-shirt, depending on the message, phrase or slogan. You won’t likely need a designer to create a font or message for you as you’ll be able to create those on your own. Your t-shirt design will be able to be printed via any printing method as you probably won’t be printing a variety of complex colours. Take font pairing & word/sentence arrangement seriously as they can have a huge impact on the overall look of the t-shirt. This type of t-shirt design can be easy for others to replicate & copy. Be careful that your phrases/messages don’t infringe on any trademarked/copyrighted phrases. T-shirts with photographic images on them can be very captivating and eye-catching when printed properly. Depending on the image itself, if it custom-made, the t-shirt design may be difficult for others to replicate. This type of t-shirt design can be as simple or complex to create as you’d like. You’ll have to have a high quality image that your customers will want to wear on their t-shirt. You’ll have to use DTG or all-over-sublimation printing methods to get the best possible image of your photo printed on the t-shirt. You’ll have to have the right file size & requirements to be able to print a good quality version of the image onto a t-shirt. 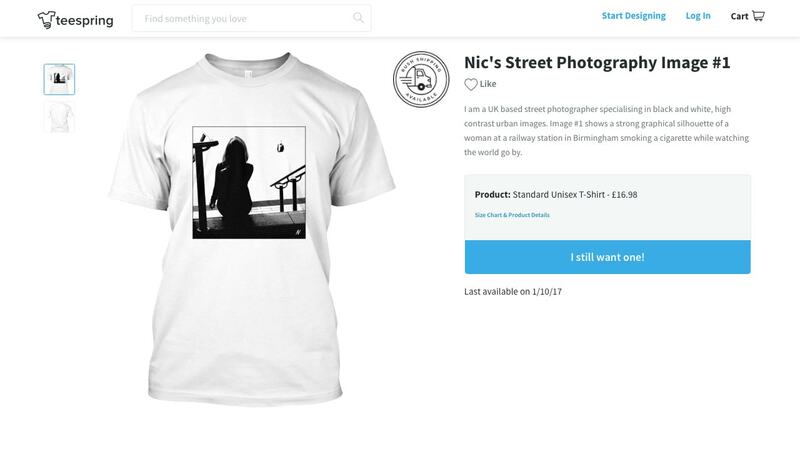 If you aren’t using an image you’ve taken yourself, you’ll have to make sure you have the correct license for the image you intend to print on your t-shirts so that you don’t infringe on any copyright laws. If you aren’t using your own image you’ll either have to pay for a commercial licence of an image or for rights to a photographer’s image. This t-shirt design type can be very captivating when the image & typography work well together. Depending on how colourful your design is, your t-shirt will likely be able to be printed via any method. This type of t-shirt design can be as simple or as complex as you’d like. If you create your graphic design yourself, your t-shirt design will be difficult for others to replicate. You’ll probably have to create your own graphic design, or get an artist or designer to do it for you. 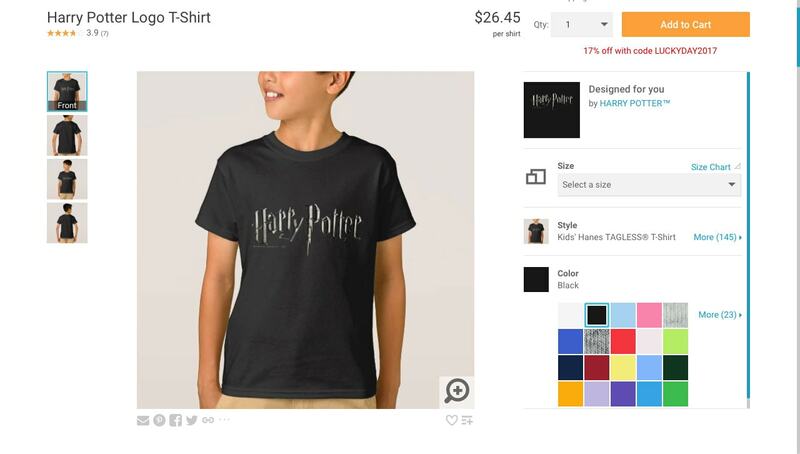 You can purchase pre-made graphic designs, however then you run the risk of not selling a unique design. You’ll have to pay for any licences or artwork you use in your design so you don’t infringe on any copyright. This can be as simple or complex as you want it to be, after all, it is your own brand. 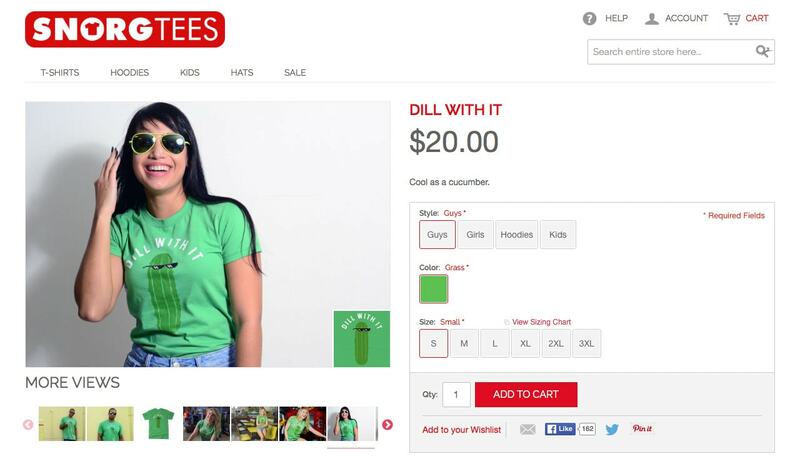 Customers wearing your t-shirt will basically be walking advocates of your brand. Your brand is unique, so these t-shirts will be difficult for others to replicate. Use graphics, images, typography or any combination of these design elements to create your branded t-shirt designs. This t-shirt design will likely be pretty simple and able to be printed via any printing method. Be sure your customers will want to represent your brand on your t-shirt before you start selling it. Make sure there’s a demand. Depending on your level of skill and how you want the design to look, you may have to hire someone to create the design for you, or purchase licences for pre-made images or graphics. Depending on your design and level of skill, you can create this t-shirt design yourself. This design can be as simple or complex as you want it to be. This design will likely be able to be printed via any printing method. Depending on your design it may be difficult for others to replicate. You’ll have to pay for any licences or artwork you use to create your design. If you purchase any pre-made graphic design elements like images, illustrations or fonts you’ll run the risk of not selling a completely unique design. 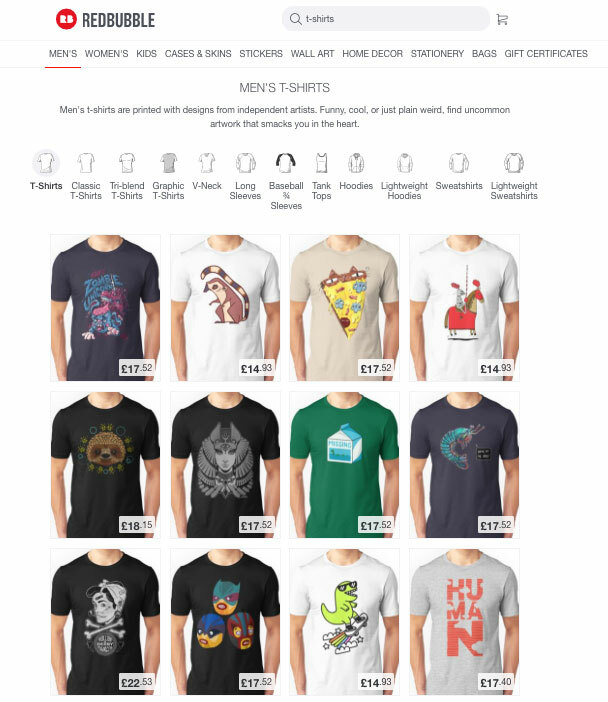 Now that we’ve discussed the different types of t-shirt designs, check out these resources to get inspiration on one or all of these t-shirt types so you can decide which one, or ones, you want to design for your own store. Keep in mind, these resources will show you what’s trending, popular or bestselling in the t-shirt design world, so take what you want from them and put your own spin on things. You want your t-shirts to be unique, so get inspired but don’t completely copy these designs. Take the time to peruse through the t-shirt design inspiration resources we’ve linked so you can get a better understanding of what it is you like in a t-shirt design, and what you don’t, so you can select which of the 5 t-shirt design types is your preference and then you’ll be able to build on that design for your own t-shirt store. 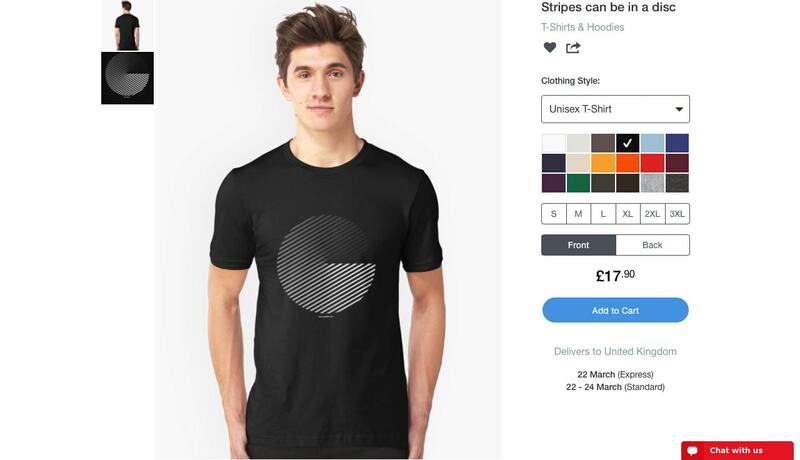 By identifying what you like and don’t like about the t-shirt designs you see, you’ll also be able to save yourself time and money from experimenting with those design styles yourself, as you’ll already know you don’t like them. Good luck.